State-space exploration is a powerful technique for verification of concurrent software systems. Applying it to software systems written in standard programming languages requires powerful abstractions (of data) and reductions (of atomicity), which focus on simplifying the data and control, respectively, by aggregation. We propose a reduction that exploits a common pattern of synchronization, namely, the use of locks to protect shared data structures. This pattern of synchronization is particularly common in concurrent Java programs, because Java provides built-in locks. 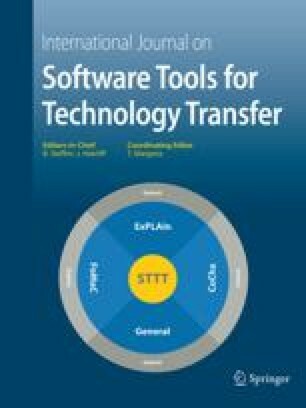 We describe the design of a new tool for state-less state-space exploration of Java programs that incorporates this reduction. We also describe an implementation of the reduction in Java PathFinder, a more traditional state-space exploration tool for Java programs. ID="*"Present address: Computer Science Dept., SUNY at Stony Brook, Stony Brook, NY 11794-4400, USA. The author gratefully acknowledges the support of ONR under Grants N00014-99-1-0358 and N00014-01-1-0109 and the support of NSF under Grant CCR-9876058.